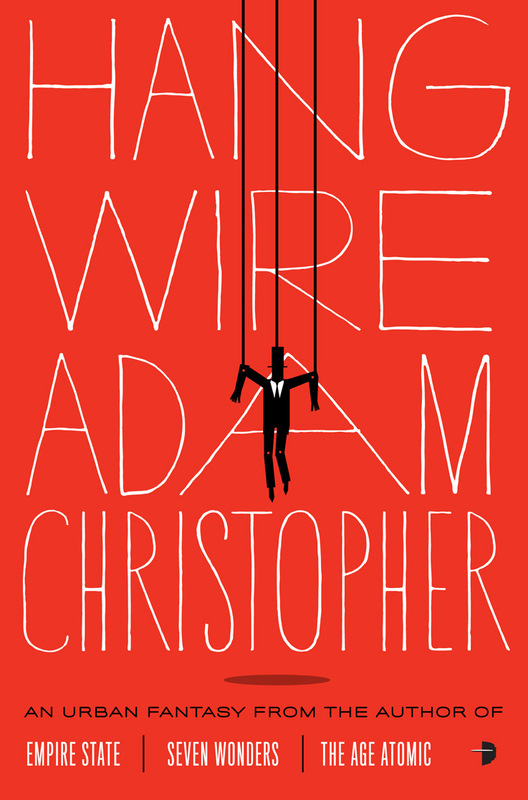 We're big fans of Adam Christopher here at Sword and Laser and he's buttering us up some more (as if he needs to) by giving us a sneak peek at the cover for his next book, Hang Wire (Coming January 28th from Angry Robot Books). 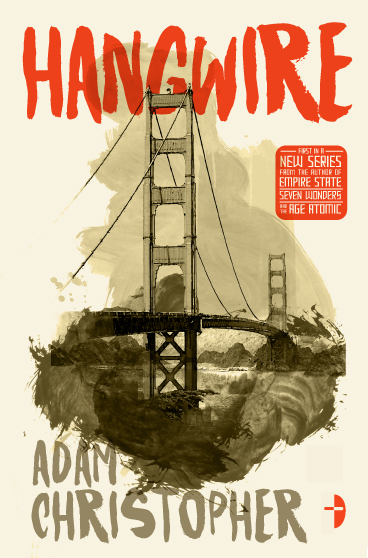 He mentioned the book took place in San Francisco the last time we talked. Here are some more details. Poor Ted Hall's Chinatown birthday dinner ends in an explosion. It gets worse. Ted finds fortune cookies from the exploded restaurant with personalized messages scattered around his apartment. There's also a Celtic circus, some immortals searching for an ancient power, and your basic primal evil lurking beneath the San Andreas fault which might destroy the world. Sounds like good fun. 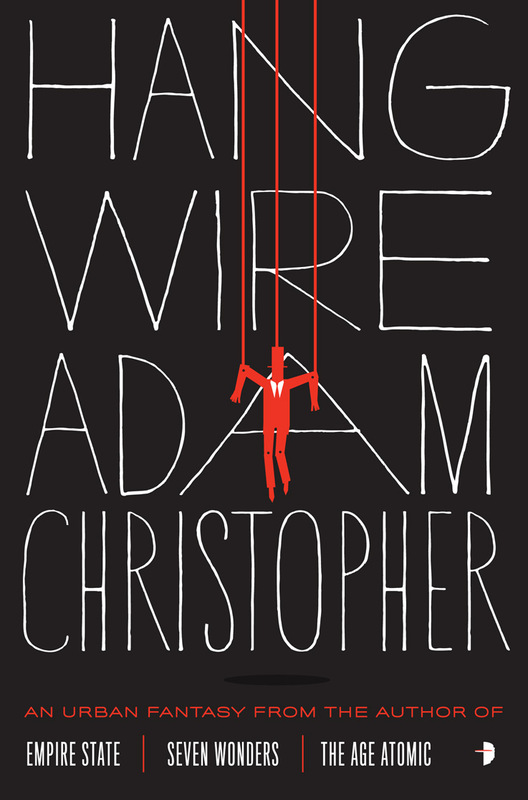 Will Staehle (Empire State, Kavalier & Clay) did the cover and it's stellar. Christopher said Staehle surprised him with something "entirely unlike anything I had imagined, for any of my books." For his part Staehle said the cover was "a tough one" with all the disparate elements in the book. He played with several styles including Chinese brush illustrations, victorian circus signage and ended up with, "a graphic circus ringleader puppet hung up by strings." So take a look for yourself. You can see the different approaches in the gallery below. It starts with the main black book cover, then the limited edition in red and a few book posters showing the circus images and the Chinese brush strokes. Just click the image to flip through the different examples.